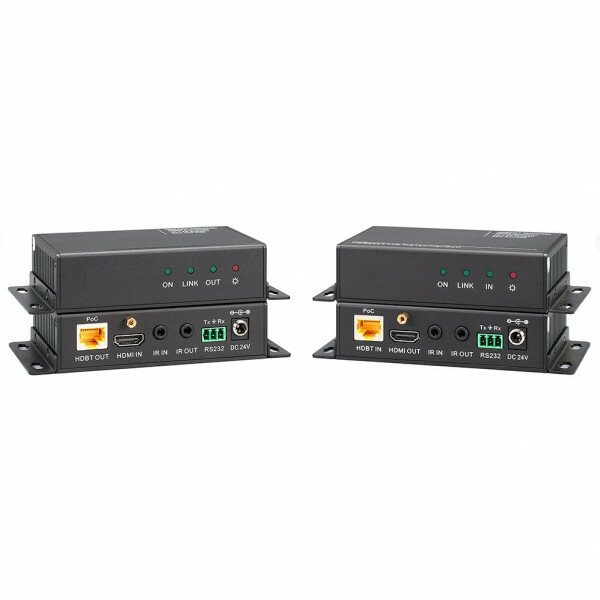 The TEK TPHD402P HDBaseT extender set kit is used to transport HDMI 1080P video content with RS-232 and IR up to 200 feet. Power can be placed at either end, making them ideal for sending HDMI and RS-232 to a display without the need for a power supply at the display. The 79075K kit also includes a 75 foot plenum grade CAT6 cable and a power supply. Just provide your HDMI connections and the kit is ready to go.